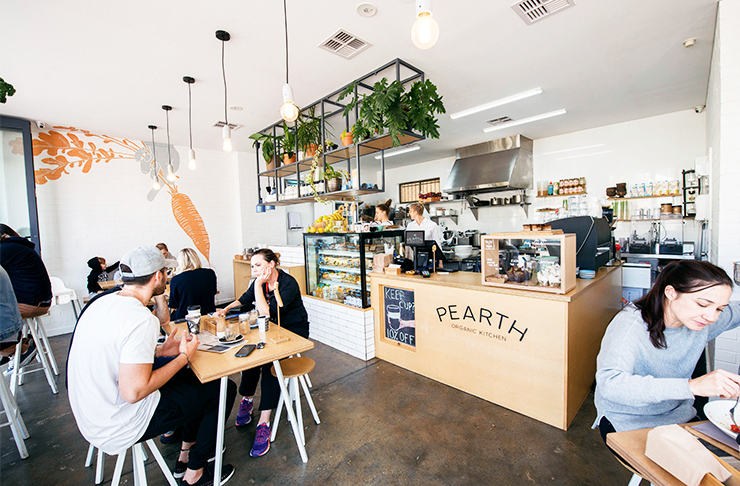 Pearth Organic Kitchen has been feeding the West Leederville locals all sorts of healthy deliciousness for a while now and with a newish chef and some recent menu changes, I thought I’d better get down there and see if these healthy eats could cure my Sunday morning hangover. While it might not be traditional hangover food, if you put avocado and hummus together in one dish you can just about guarantee I won’t be looking at anything else. That is unless there’s a peanut butter smoothie on the menu. Look, I know as well as the next person that a smoothie is basically a meal and you shouldn’t be having them as a drink alongside your very large breakfast, but sometimes you’ve just gotta do what you’ve gotta do, because research. So I got a peanut butter smoothie, which FYI, was huge—the servings at Pearth are generous AF. It was delicious and it took all of my self-control and then some not to finish it off before my avo and hummus came out—but boy am I glad I stopped! When the avo appeared I thought there must be some sort of filler under all of the green goodness. But after a bit of poking around, I can confirm it was all avocado. For a very reasonable $14.50, you’ll get what must be almost an entire avocado, with a massive dollop of hummus and a good smattering of dukkah and herbs on two delish pieces of organic sourdough. If you think you need more, go on and add some eggs or the TLC broccolini for a bit of extra crunch. While I was busy stuffing my face with avocado and hummus, my friend was chowing down on the breakfast fritters which tasted as good as they looked. Sweet potato and carrot fritters, served with avocado and a broccoli and apple slaw—talk about getting your vegetable intake up! 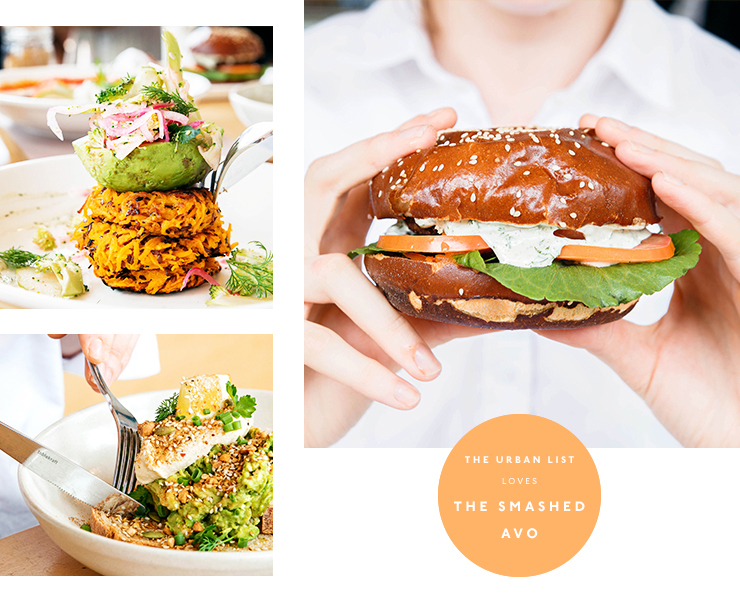 It’s an all-day menu, so you can get breakfast no matter what the time of day, but if you find yourself at Pearth for lunch, you’ll want to get the vegan burger—it’s easily one of the best in Perth. Or the Mediterranean plate—baked falafels with baba ganoush, hummus, tabbouleh, avo and feta, because the only way to one up the avo and hummus combo is to add falafels and feta!